If you’ve approached a doctor for hypothyroidism diagnosis, in addition to checking for hypothyroidism symptoms, it is very likely that he will prescribe a hypothyroidism test or even more than one. Among the tests he will suggest, the TSH measurement test will take precedence over all others. This test is a validated test used to measure the levels of the Thyroid Stimulating Hormone (TSH) in your body. 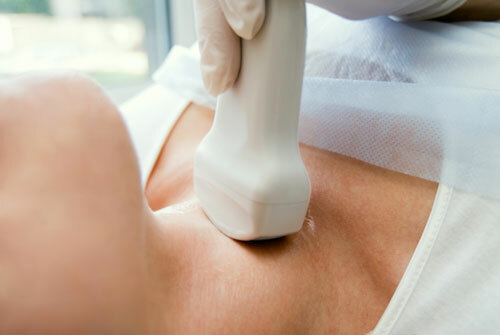 If the results of the TSH hypothyroidism test appear negative, the doctor might recommend certain others to rule out secondary and tertiary forms of hypothyroidism. The TSH test is the most commonly recommended hypothyroidism test. Here are some of the tests you might need to undergo to get a precise diagnosis for hypothyroidism. 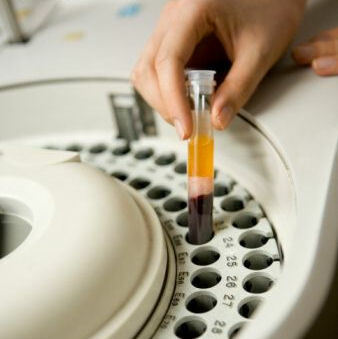 This test is in essence a blood test used to determine TSH levels in your blood. TSH or thyrotropin is a hormone that controls the thyroid gland’s production of the hormones thyroxine (T4) and triiodothyronine (T3). If your thyroid is underactive, TSH levels will appear high and could indicate a case of hypothyroidism. The results of the test are measured in milliUnits/liter (mU/l). As the normal ranges of TSH vary from lab to lab and from individual to individual, the results don’t always confirm the condition. This is why it is up to your doctor to consider your clinical symptoms and lab results before confirming or ruling out hypothyroidism. In general, TSH levels of 4 mU/l indicate a mild case of hypothyroidism and anything in the vicinity of 10 mU/l indicates a severe form of the condition. This test is recommended either to confirm a case of primary hypothryoidism (high TSH levels, low T4 levels) or in case the TSH levels appear normal, to diagnose a case of secondary or tertiary hypothyroidism. In this test, the levels of free T3 and free T4 are measured in addition to the total T3 and T4 levels. Low levels of free T4 may indicate hypothyroidism, but the results may again vary from lab to lab. This blood test is conducted to detect the presence of any autoimmune diseases that may be affecting the thyroid gland, such as Hashimoto’s thyroiditis. Such a condition may be caused when certain antibodies produced by the immune system attack the thyroid cells and damage them. Their presence in your blood could indicate a case of hypothyroidism. If your lab test results appear inconclusive, your doctor may suggest one or more of the following tests to come up with an accurate diagnosis. In addition to the TSH test, another hypothyroidism blood test might be required to confirm the diagnosis. These tests for hypothyroid diagnosis are easy to undergo and not very expensive either. In some cases, hypothyroidism will not show up on any of the standard lab tests. For example, if the condition is caused due to elevated or decreased levels of Thyroid Binding Globulin (TBG) or by thyroid resistance, the lab tests might still show negative results. If your doctor has an experienced eye, he might be able to make an accurate diagnosis despite being faced with inconclusive results from the lab tests. The hypothyroidism test is very crucial as a correct diagnosis improves your chances of responding to the hypothyroidism treatment in case you do have this condition. Reading about topics like what is hypothyroidism, how a hypothyroidism diet helps, and what extra measures are required will go a long way in helping you control the condition better. This entry was posted in Hypothyroidism and tagged hypothyroid test, hypothyroidism blood test by Zipheal Editorial Staff. Bookmark the permalink.